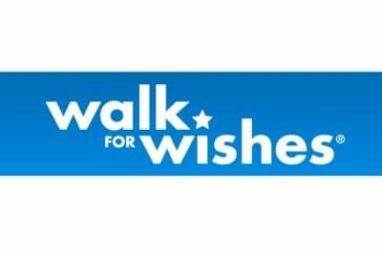 Get your sneakers ready for two fun events benefiting Make-A-Wish Northeast New York in August: Walk For Wishes and the Bobbie Arsenault Memorial 5k. Both events are great ways to get active while helping a great cause in the community. On Aug. 13, bring your family to the Joseph L. Bruno Stadium in Troy for the 3rd Annual Walk For Wishes. No matter your fitness level, you can get involved and make a difference. This year’s event features a 5k loop or a 1-mile option. On-site registration begins at 8 a.m. followed by the opening ceremony at 9:45. The walk will begin with a Victory Lap around the stadium led by local Wish Kids and their families. The 5k and 1-mile walk follows shortly after at 10. When the walk is over, everyone can stick around for fun, food, games and more until noon. Registration is free, but everyone is encouraged to go above and beyond by fundraising. Those who raise $100 or more will receive a Walk For Wishes t-shirt. Raise more than $250 and you will also receive a water bottle. At the $500 level, you’ll receive a drawstring bag or you can go all out at $1,000 for a Walk For Wishes stadium blanket. Get more details and check out the team fundraising perks here. If you live around Albany, head out to Westfall Village in Averill Park on Aug. 21 for the Bobbie Arsenault Memorial 5k. The run is a new addition to the Bobbie Arsenault Memorial Event, which takes place the day beforehand. This memorial weekend honors 10-year-old Bobbie Arsenault, who battled cancer throughout his life starting at the age of three months. Bobbie’s family created the memorial event in remembrance of their son in 2012, and this year they’ve added the 5k memorial run. The memorial event and 5k both benefit Make-A-Wish Northeast New York so that more children facing critical illnesses can have a wish granted. You can help raise funds for Make-A-Wish by registering online. Registration is currently $20 per person, but the fee increases after July 23. The race begins at 4 p.m. on Aug. 21, rain or shine. Those who register ahead of time may pick up their race packet from 11 a.m. to 5 p.m. at the memorial event on Aug. 20. Those who can’t make it to the Walk For Wishes or Memorial 5k can still make a difference for local kids! You can help Make-A-Wish Northeast New York grant more wishes when you donate a vehicle to Wheels For Wishes. Donating a car, boat, RV or motorcycle is a great way to make room in your garage and get a tax deduction. All you need to do is call 1-877-431-9474 or fill out a car donation form on our website. It’s easy!